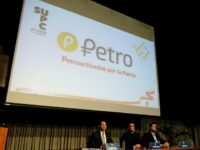 International oil experts have warned that Venezuela’s production is in “free fall” and could soon fall as low as under one million barrels per day as a result of the socialist country’s severe economic crisis. 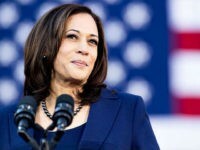 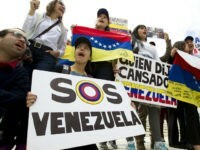 An organization representing Venezuelan exiles have urged the Trump administration to impose an “urgent” oil embargo on the country’s ruling socialist dictatorship. 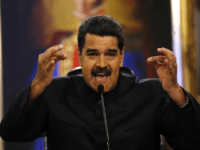 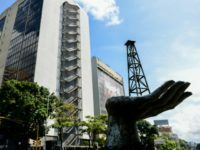 Venezuela’s socialist regime will soon launch its own cryptocurrency in a bid to raise hard currency amid an economic and humanitarian crisis that has brought the government to the brink of collapse. 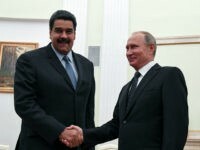 Venezuelan dictator Nicolás Maduro and Russian president Vladimir Putin met on Wednesday and agreed to strengthen ties between the two nations and discuss the possibility of restructuring some of Venezuela’s considerable Russian debt. 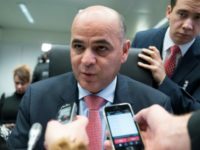 Venezuela will no longer accept oil payments in U.S. dollars, in an act widely seen as a retaliation against the United States, The Wall Street Journal has revealed. 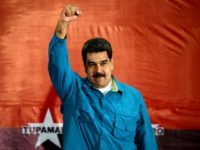 Venezuela’s government has spent at least $7.8 million on Washington lobbyists in an attempt to prop up its oil revenues since 2013 amidst the country’s deepening economic and humanitarian crisis, a report from the Miami Herald revealed.